We are approaching the April 7 Tejon Ranch trip in southern California. If interested in attending any of these trips, you can contact me through this Forum PM or FB messenger or email. Please provide your name, phone number, and email contact info. These trips require that I know who is coming, no last minute additions, and attendees will have to sign liability waivers. I will provide meeting location details to those who contact me. So far I have Jeff N., Jeff L., Scott S. (contact me), John L., Jonathan M-A, Ben W., Mark Buck, etc. This Tejon Ranch trip that was planned for April 7 is cancelled due to predicted rain. The next visit to Tejon Ranch is currently planned for April 22, 2018. Did this trip happen? I just missed it. When will the next one happen? Indeed. It's the CBD, whose employee authored the op-ed piece. A lot of the complaints are pretty unreasonable. My favorite is "environmental issues would have forced the owners to not be able to develop a bunch of the land, so nobody should have paid for those development rights". Nobody, as in, the owner? Wow, that's a pretty entitled mentality. Plus, laws can change, for the weaker. As for "unbuildable" (part of the same complaint) - that's a goal post that moves with time. Many steep SoCal rockpiles have appreciated, and now it's often worth the cost of blasting and dozing and highly-engineered building. Encumbering the title in perpetuity is some security against changing economics, and changing laws. My second favorite is "the owners can prohibit entry of anyone they want". Uh, yeah, it's private. Private. Jesus. Looks to me like CBD wants to renegotiate a deal they weren't party to. Nobody likes to deal with them, because they're jihadis, not businessmen. 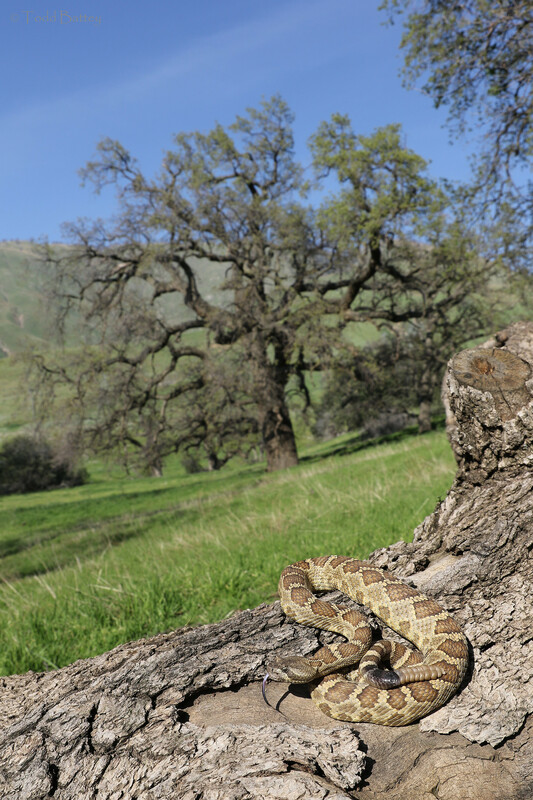 There aren't many opportunities left to do quarter-million-acre conservation deals in SoCal. I'd think long and hard about trying to blow up that one. In 2012, Tejon Ranch agreed to pay $136,500 in fines and restitution for illegally killing at least 11 mountain lions to prevent them from competing for game with high-paying trophy hunters in its hunting concession. The above is just one of their “indiscretions”. Conservation easements funded by public dollars have requirements that must be upheld, the CBD may not always have the answer but they do far more than arm chair naturalists that go on photo safaris and think their pretty pics are some how important to conservation. Also the fact that they (TRC) ban researchers and organizations doing sound science because they don’t agree with their development schemes is not something worthy of adulation. The CNPS does a lot of good work and has contributed to TRC in many positive ways but banning them (and other worthy conservation orgs) for exercising their freedom of speech is childish and a very conservative way of thinking. The CBD May be controversial but they’ve done a lot of good, and that is what CA needs in light of its environmental losses not more businessman. We’ve had one running the country for the past three years and not much good has come from that either. The CBD May be controversial but they’ve done a lot of good, and that is what CA needs in light of its environmental losses not more businessman. We’ve had one running the country for the past three years and not much good has come from that either. Personally, I can't stand this White House - never could - and I really don't think its resident has much acumen at all for crafting enduring, meaningful agreements. I see instead, more pettiness and bullying - which ironically is exactly what I see from CBD too. Can't get along with someone? Can't meet them part-way? Then smash them, using any means necessary. I just don't see that as a path to enduring, meaningful agreements. Change of topic. So what? They broke the law, got caught, got punished. Awesome. The system, working as it should. What they should have done, was try and get some "depredation permits" to shoot the lions that were impacting their business. That would have been the legal route. Failing that, they should have leaned hard on Cal F&W to get a lion concession on the Ranch, and sell some permits. Failing that, they should have leaned hard on the Legislature to write a law to amend the one resulting from the 1994 ballot initiative outlawing lion sport hunting in the state. Now, maybe they did all that. Maybe they got to the point where they realized they were being played for fools, trying to work with totally unreasonable people. At that point, watch out. You never know what someone might do. That's why it's best to not be the totally unreasonable person. Do business, not jihad. Jihadis get rolled and smoked. Absolutely. An easement is typically a real estate deal of sorts, that results in something getting recorded on the title records kept down at the county Recorder's Office. Somebody holds the real interest - say, the development rights. That party has to - or ought to - monitor the seller (now their co-owner or partner) at regular intervals to ensure they aren't cheating. People - partners - can cheat, lie, etc. It's predictable. Watch them, catch them, punish them. If it's a public entity holding the easement, it can get sticky to enforce - politics comes into play, This is where "pulling the fire alarm" comes in, and NGOs have a legitimate role in informing the public. That's all good, to the extent they can tell the truth. That - "pulling the fire alarm" - isn't all CBD does. I've experienced some of their BS in a professional context, and I'm not a fan. Honestly, most of the time my complaints are 1) they're focusing on the wrong stuff and 2) their tactics don't seem to be geared towards a coherent strategy - let alone goal - I can get behind. Now, I understand that even a non-profit needs operating capital, they need a revenue model. There are only a few out there - you can work (e.g., as a contractor/consultant), you can beg (ask for donations), or you can take (sue people). Don't get me wrong, begging and taking require work too. But CBD seems, to me, to be in the taking business. Taking to me seems the least honorable route to accomplishing environmental good. Uh, no. That suggests a "world as it should be" orientation. I'm talking about the world as it is. Question - do you own any real estate? Do you own any interest in other businesses? (I do - you learn a lot!) I ask, because the crucial realization when you do own such things, is "things need to pencil out". Whatever your views or beliefs or sacred cows - you can't own something that generates a lot of expenses, if it doesn't at least generate enough income (or write-offs) to break even. Owning a huge piece of land - whether or not it's got buildings on it - is not free, it actually costs a horrible amount of money. Whoever owns it, needs to be thinking about how to make money off it. Subsidizing a "shiny toy" can work for a while, but there will always come a point when the owner just can't any more. If you can't afford it, you sell it, or you find a way to make it pay for itself. The only difference is (or should be...) with public properties like National Parks. Those, we agree to subsidize - nearly all "lose money", but they don't exist to make money. They are "shiny toys", but they are worth subsidizing, generation after generation. It is totally unreasonable for the public to expect private property owners to fully subsidize the ownership of private property (e.g., by making something "unbuildable"). It goes both ways too - when private owners expect the public to fully subsidize them, such as through flood insurance or fire protection - that's totally unreasonable. Some things shouldn't be built. Tejon is one such thing. At the end of the day, 90% of Tejon isn't getting sold to land developers, and built. That's a wonderful outcome. For that, I can hold my nose for a lot of expense (lemme get my wallet out) and a lot of stink, such as "my favorite outspoken researcher is blackballed from there". Sure, there a First Amendment. Doesn't mean nobody can make you pay - perfectly legally - for shooting your mouth off. Not all speech is protected speech. This of course is all just my perspective. I've been in conservation my whole career - I've worked in or with private for profit, NGO state, fed, and academic sectors. It's hard, and it's complicated. It's neither a sprint nor a marathon, it's a multi-generational relay race. You have to win constantly, and you can only lose once, when the stakes are extinction. Change of topic. So what? interesting and I totally agree I don’t want some mangy cat taking the elk I just paid $35k to shoot. I had the same bs in Texas last year with my African lion hunt, damn coyotes harassed it to the point of exhaustion so we brought out the chopper and warfarin and set things right. I had the same bs in Texas last year with my African lion hunt, damn coyotes harassed it to the point of exhaustion so we brought out the chopper and warfarin and set things right. Change of topic. So what? They broke the law, got caught, got punished. Awesome. The system, working as it should. I always appreciate Jimi's conservation experience and input. I've learned alot and I don't think many people appreciate how valuable his posts are. But I must say killing at least 11 mountain lions is pretty reprehensible. Not the end of the world but a sad commentary on monetizing wildlife. That real estate must be far too valuable for any conservation groups to think about purchasing? But I must say killing at least 11 mountain lions is pretty reprehensible. Of course, given the circumstances (extralegal). I'd much rather have had them shot legally. By hunters, not Wildlife Services. But what I could have put more clearly, was my failure to understand the OP's rhetorical linkage between that 2012 (pre-deal) prosecution and the op-ed piece he linked earlier. Which basically looked like CBD throwing a bunch of other enviro groups, and the state of CA, under the bus for having bought some easements on the property. And CBD patting themselves on the back for having not signed the same deal. I just didn't see the makings of a coherent argument there. More like a changing of the subject. Not very persuasive, is all.